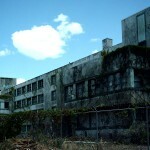 Sunland Hospital was a notorious eyesore in Tallahassee until it was demolished in 2006. Before then though it was a popular spot for amateur ghost hunters, who claimed to have seen all sorts of eerie things within the crumbling walls. Within a year of the Center opening, it started to suffer from a shortage of funds and overcrowding conditions. These forces caused a variety of problems to form within the hospital from poor and inadequately prepared food, overcrowding of the cottages, inactivity of the children, unsanitary conditions, inadequacy of dental services, to unacceptable hygienic practices. Conditions within the hospital continued to worsen causing various psychologists to call for the closing of the center. Over time, to help cover costs of various vocation and rehab programs within the state, funds were shifted away from the Sunland Centers to other programs. After various scandals, lack of funds, and the move towards community care, the Sunland Center closed in 1983. The property was almost purchased in 2004 by a Winter Park businessman, but that deal fell through. Over a year later, the property was finally sold for use in a housing and commercial district project, which later became the Victoria Grand Luxury Apartments. Demolition of the hospital building and all the surrounding buildings and wooded areas started in early 2006 and was completed in November of the same year. Months later, construction began on the Victoria Grand Apartments. Today, there is no sign of Sunland at Tallahassee remaining on Phillips road. 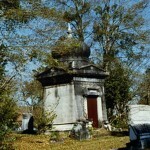 However, relics from the old hospital were said to be collected and used to create part of the Sunland Asylum wing at the Terror of Tallahassee (a local haunted attraction). I went there with my dad and wow it was super scary. He has alot more stories but my encounter with that place was on the children floor the third floor we was standing outside and we saw a huge white head floating from window to window. It was so amazing and then we seen so many orbs flying around wish I had a camera to bad it is tore down. Went here in 1996 as a silly highschool girl trying to see something scary. we broke in with wirecutters through the fencing. yeah…it was a truly creepy scene….footnsteps above and below us on different floors. All of the glass windows had been broken…tons of graffiti. What stood out to me most were the animated wall coverings in the children’s ward. i kept a sliver of the wallpaper. i also kept two old playdoh tins that I found on the floor. we ventured out onto the “sun porches”…very upsetting. but most upsetting of all we went downstairs….to the basement area where we found low, long ceramic shallow basins….much like those that u see in creepy movies for autopsies. i think they may have been bathing basins but have been told otherwise…as u can imagine. It has since been demolished..apartments built over. i still have photos of the half demolished site with construction workers looking at me bewildered. to sum it up…i do not think the site is haunted. but i do think that maybe there are upset memories of devastating healthcare of the past…may we never repeat them. I haven’t seen this for myself, since I can’t afford to live there, but I’ve heard stories from someone in the Big Bend Ghost Trackers that the apartments where Sunland used to sit there’s still creepy stuff going on. Things like footsteps, voices, and the elevator doors opening and closing on their own. Apparently the ghosts are more attached to the land then they ever were the building, itself, and have transferred their haunting activities to the new apartments. Im so pissed I was so happy to read these comments then I saw they have completely built over it. My aunt lives in the new apt. complex that they built on the land. It is nice, but I never comfortable there and I can’t stay there for long or I get really nervous and antsy. My 2 nephews went to the buildings a few months before they demolished them and stayed most of the night each time. They told me that they heard and saw some strange things and it was definitely haunted. I used to pick up some of the children and took them to different outings and I felt the same way then as I do now that it is an apartment complex. Its creepy, then and now. I did community service at this place in springtime of 1980. I was a juvenile at the time, I think I was about 16. I worked in the kitchen preparing the trays, and then loading them on a refrigerated/heated cart up to the various floors, and plugged the carts into electric outlets on the walls near the rooms. I remember retarded children in very unsanitary conditions, eating off of the floor that was often covered with excrement and puddles of urine. It was very nasty and very creepy place. Over the years after they closed it, I heard it was haunted. I wouldn’t doubt it a bit, the place gave me the creeps even when it was still open in 1980. What is more haunting is the realization how old I am, how fast life has gone by, and how things like this building are just memories now. Kind of sad really. I grew up in Tallahassee. I went to Sunland twice. We called it “Sunny land.” The first time, we went in through the back corner (don’t remember which N,S,E,W). We entered through a room that looked like a boiler room. Maybe that is just my Nightmare on Elm Street inspired memories affecting my perception of that room. That was about as far as I could go. A couple of years later, we committed to actually going inside. We really explored the area. It was crazy that things we saw. I expected to see just a shabby building in disrepair, but we saw stuff from straight out of horror movies. We saw kids toys including a dirty naked doll lying on the ground in one room. There was graffiti from people that had been in there before us. The creepiest thing I saw was a red pentagram on the ground about 8 feet in diameter that had remnants of wax at the points. That’s when we made out exit.